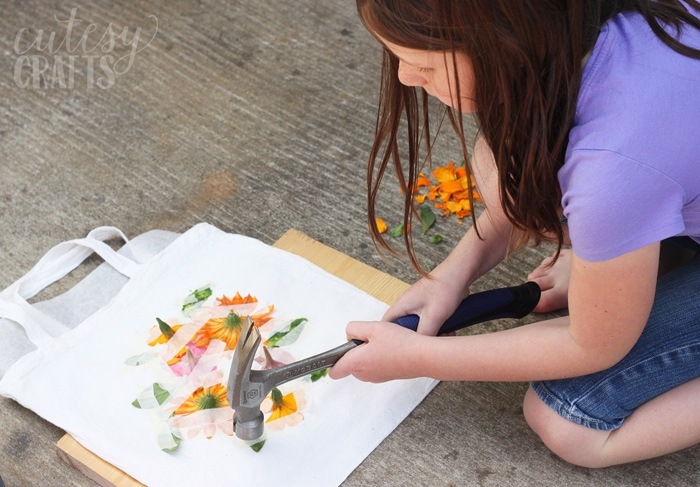 I saw a tutorial for flower hammering/pounding a while back, and I knew that I just had to try it with my kids. We are in our second month of summer vacation, and man are they starting to get bored! 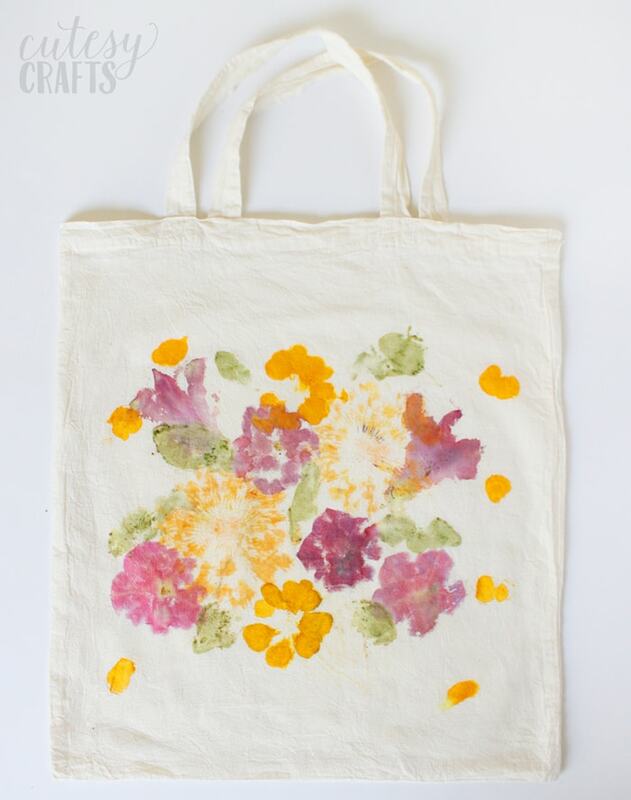 A tote bag is great for this project since you don’t really have to wash it, and the dye from the flowers are less likely to wash away. The kids can make them as gifts for a teacher or relative or use them to hold books from the library. 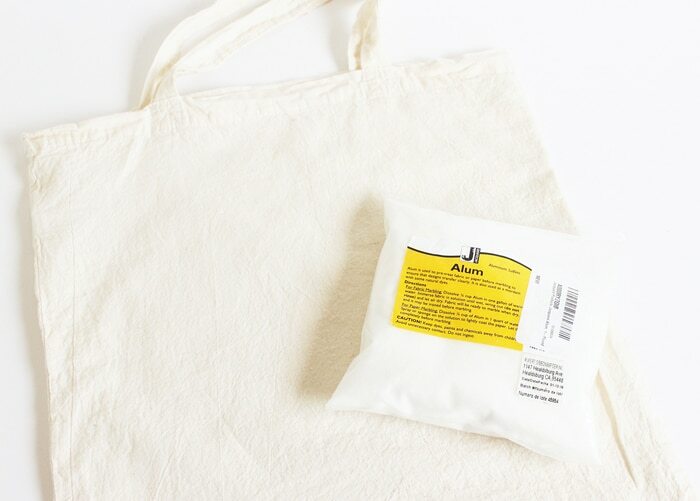 cotton tote – Note that this is a thinner cotton tote, not canvas. I think canvas would be too rough, so I found this thinner one at Hobby Lobby. 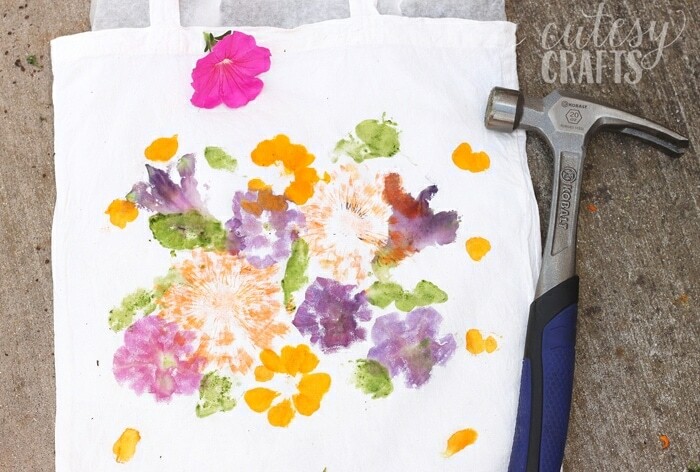 The bag will need a little preparation before hammering the flowers to help the flower dyes stay bright. Wash the bag like normal to get rid of any residue. Next, dissolve 1/4 cup of alum in 2 cups of hot water. Soak the bag in the mixture, wring it out, and let it air dry. If the bag is wrinkled, iron it after it dries. You’ll want to wear gloves for this and don’t use any utensils that are meant for eating. 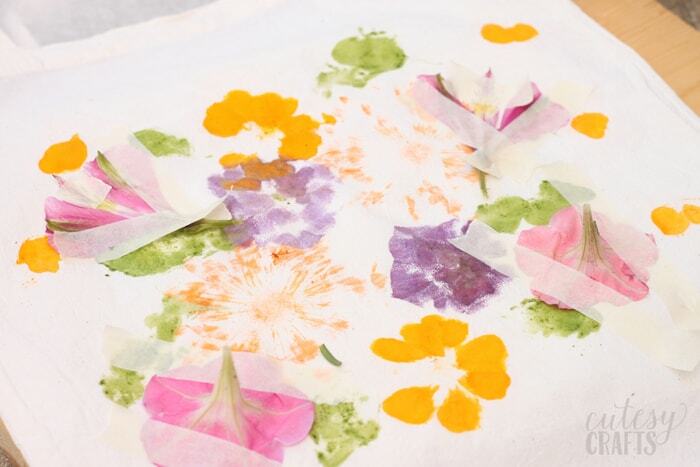 Next, put a piece of wax or parchment paper inside of the bag to keep the dye from seeping through. Gather some flowers and leaves. Out of all of the flowers we used, the Marigolds definitely worked the best with the bright orange. The purple flowers are Petunias. 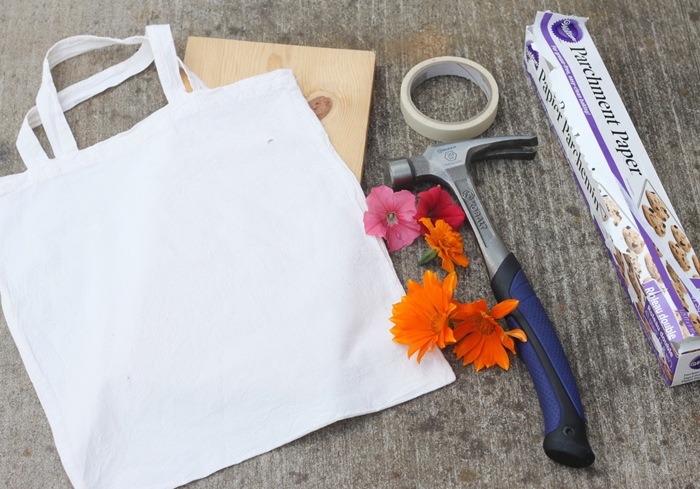 Lay your flowers out on the bag, and secure them with lots of masking tape so they don’t move around. Put the bag on top of your board and hammer away! Make sure that you hit each and every part of the flowers. At first we had a couple that turned out as a bunch of dots from where the hammer hit. It’s best to test on a scrap of fabric or paper first. 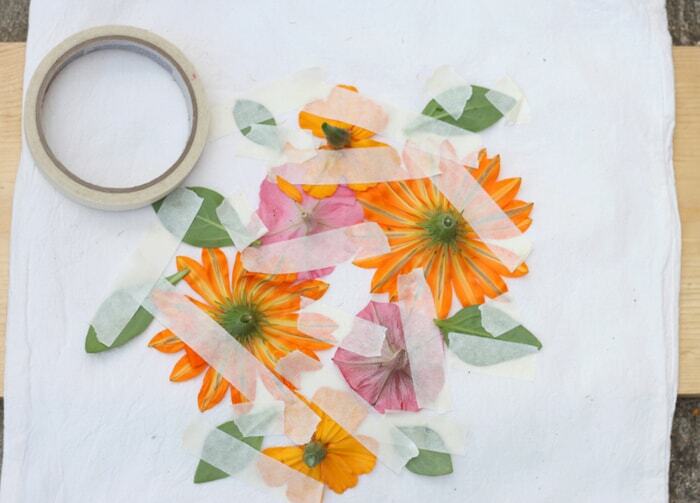 Peel the flowers and tape off to reveal your print! So exciting! We added some more flowers and even a few random petals here and there. 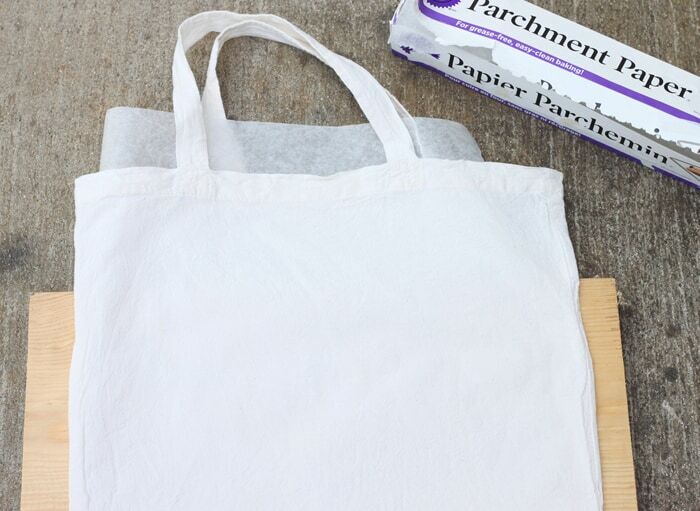 When you are done, let everything dry, then put another piece of parchment paper on top of the bag and iron over your design with a hot, dry iron. This will help the colors set in and keep them from fading. I don’t know how well the dyes will hold up in the wash, so I don’t recommend washing unless you really need to. 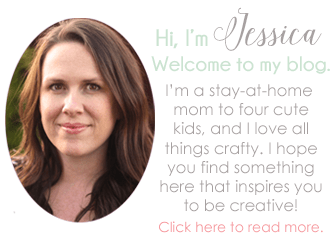 This was seriously such a great craft for the kids (and me). You have to try it out! I want to plant more flowers just so we can make more pretty designs! 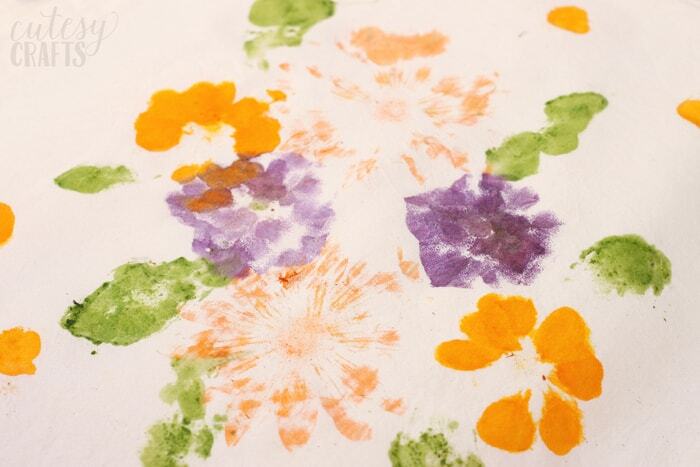 The pressed flowers are very pretty and a fun project with or without kids! Thanks for sharing! I’ve never heard of alum powder. What is it used for? It’s used to keep the natural dye from fading. You could probably try it without the alum. The colors just might not stay.